One Not So Bored Mommy: Never Risk Your RING Going Down The Drain With "The Blingnet"
Never Risk Your RING Going Down The Drain With "The Blingnet"
I wash dishes a lot! It's a fact that in a family of 8...we have lots of dirty dishes. Some that I can rinse and shove in the dishwasher, and some that I have no choice but to hand wash. 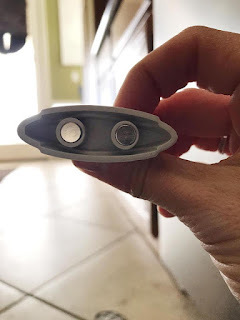 Dirty dishes are pretty nasty and the last thing I want is some stray "leftovers" getting stuck on my precious wedding ring...because I am afraid if I take it off and set it down. I mean, it could fall in the sink drain, fall in the trash, etc. and I would just die. Or my husband might kill me...ha ha! That's where "The Blingnet" comes into play. This is a product that I am certain we will be seeing these in stores like Target and Walmart soon enough. So what the heck is "The Blingnet"? It's not a net! 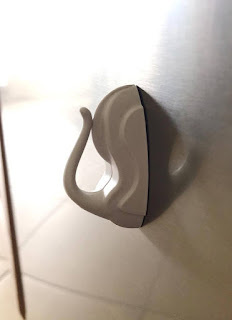 Instead, it's a magnet that safely holds your rings while you're washing dishes. 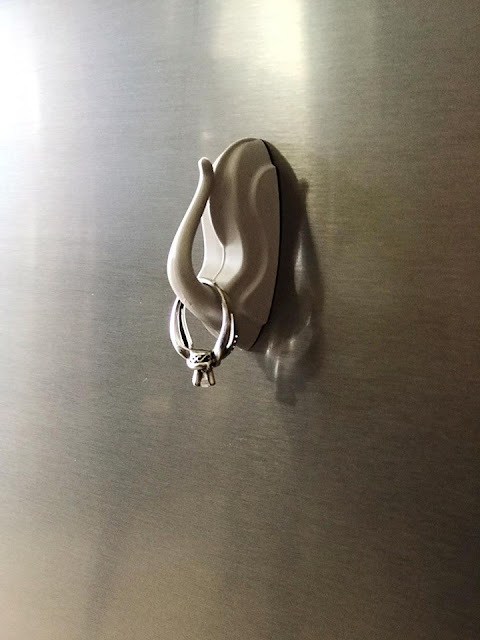 It can even hold your rings like you're washing your hands in a restroom. 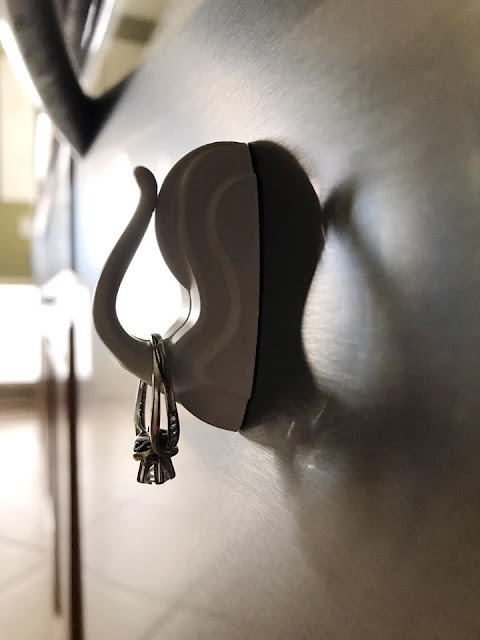 It simply magnetizes onto medal and hangs around while you're getting things done. I absolutely love this idea. I have known so many people in my life that take all their jewelry on their hands off to wash their hands. I'd be so afraid something would go missing, fall down the drain, etc. 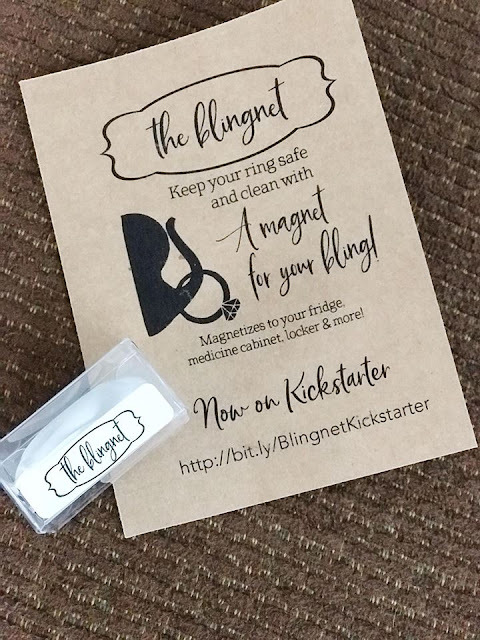 With "the Blingnet", it takes the worry away and gives you the peace of mind that they will be safe and sound, hanging from your fridge, medicine cabinet, locker, etc. It's also a great way to store your rings overnight, if you don't wear your jewelry to bed. Or if you're a student, it's a great way to store your keys while you're in class...hanging from the inside of your locker. 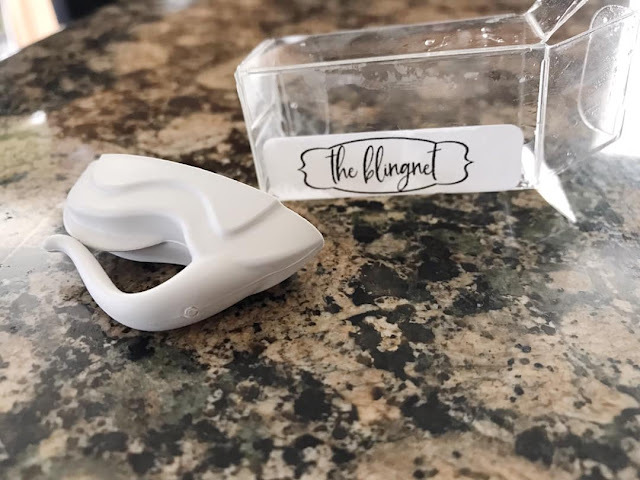 CLICK HERE to learn more about "the Blingnet" and maybe order a few for your home. 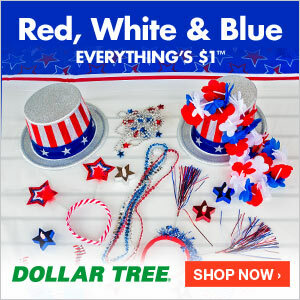 Hey, maybe even order some for your friends and family too.